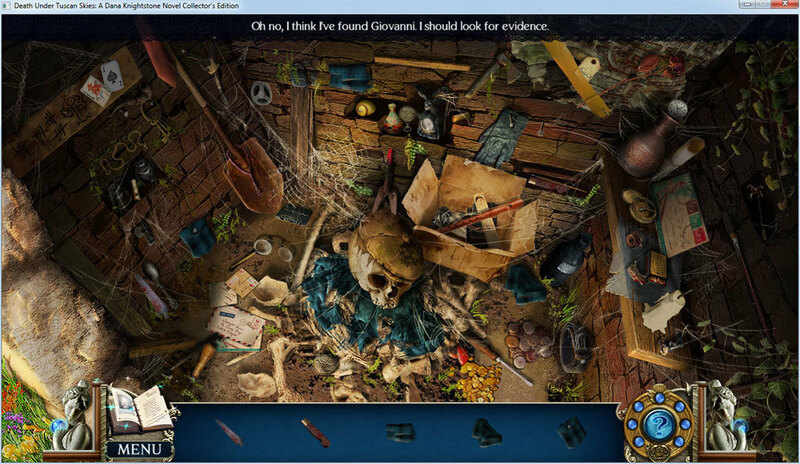 Solve the mystery in this hidden object puzzle adventure game. Is there a better alternative to Death Under Tuscan Skies? Is Death Under Tuscan Skies really the best app in Puzzle category? Will Death Under Tuscan Skies work good on macOS 10.13.4? Death Under Tuscan Skies - A Dana Knightstone Novel Collector's Edition take you across Italy as best-selling novelist Dana Knightstone. During a lecture in a university in Tuscany, you are startled by the ghost of a 19th century girl named Eva. Decades ago, she died of a mysterious illness while her lover Giovanni left to find a cure. Why did he never return? Unravel the mystery of his disappearance as you explore beautiful landscapes in this incredible Hidden Object Puzzle Adventure game. Death Under Tuscan Skies needs a review. Be the first to review this app and get the discussion started! Death Under Tuscan Skies needs a rating. Be the first to rate this app and get the discussion started!